We are a leading Suppliers of Chemical Products. 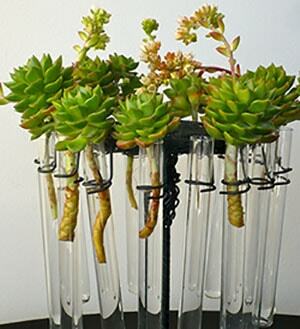 Fortune is one of leading supplier and exporter of various chemical for application in different field. Established in ‘2009‘ Fortune caters wide range of products including basic chemical to high performance speciality chemical from its more than 25 network plants. Fortune is also appreciated for customized solution on quality, logistic, packing and forwarding to its customers. We also have tie up with DSIR recognised “R & D” Centre to develop or customize speciality products under strict confidentiality. Team Fortune is always ready to connect with customer and meet their satisfaction. Active since 2009, Fortune Enterprise has grown rapidly to be one of the biggest dealers in Chemical supply. With the experience and expertise of Several years Fortune Enterprise has emerged as one of the leading Chemical Supplier in the Market. Forune Enterprise currently has more than 150+ Chemical products Portfolio and is increasing everyday. Fortune Enterprise has several Network manufacturing plants in India, China, Taiwan. 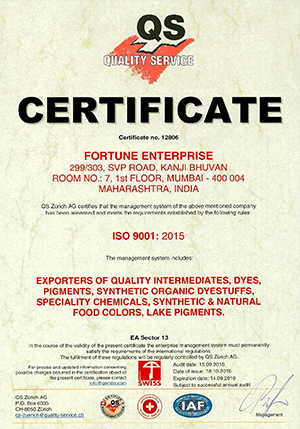 We assure about the quality of our products and services with strong Quality Management System.Fortune Enterprise is ISO 9001:2015 certified company. Fortune Enterprise has presence in more than 30 countries with its Chemical Supply.